Steve Jackson Games has one stockholder: Steve. But many people have a stake in our success. Our STAKEholders are our employees, our distributors and retailers, and, of course, the people who play our games . . . as well as the freelance artists and designers who create the finished product, the volunteers who demonstrate our games at conventions and retail stores, and the folks who run game conventions. We are, I assume the reader knows, a publisher of games. We have been in business since 1980. At the end of 2016, we had 41 full-time staff and contractors, plus a few part-timers. Most of our line consists of card games, boardgames, dice games, and RPGs. We sell through hobby distribution, the mass market, and direct sales – both physical products and digital downloads. As predicted in the 2016 report, the year was challenging and stretched our sanity and resources to near-breaking at times. 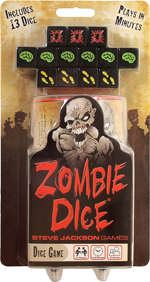 The current market is more a periodicals business than one that encourages growing and nurturing single games, leading to our evergreen titles -- Munchkin and Zombie Dice -- dropping in sales. Gross income was roughly $5.5 million, down about $500,000 from the previous year. Fortunately, the year was break-even, perhaps even slightly profitable; we'll have final numbers once our business office closes the books (and we will update this report at that time). The shift in the market affected our "keep it in print!" approach to Munchkin games and expansions, and we're now starting to let some of the slower sellers fade into out-of-print status. We would rather keep the Munchkin games and expansions available at all times -- it is frustrating when a Munchkin fan is forced to spend five, ten, or twenty times MSRP on eBay to get a game they want -- but declining sales volumes do not mesh well with holding inventory. We will try to keep the top ten or so Munchkin games and expansions available at all times, but everything else will see out-of-stock times . . . or simply go away for the immediate future. The second challenge in 2017, after the flood of games overwhelming distributor warehouses and retailer shelves, is one of our own making: Our processes are in need of serious attention. Work on updating the employee manual moved slowly and is still incomplete, leaving many of our staff asking "what's the rule for X?" The lack of a current and accurate employee manual, not to mention a persistent failure of our team to meet deadlines on a majority of tasks, is frustrating many of us and leads to confusion and unnecessarily wasted time and money. On top of that, we're proving incapable of meeting deadlines without upper management taking action. This has always been an issue we have faced as a company, but 2017 took the problem to new heights until I was forced to personally set print deadlines, communicate with our factory on upcoming projects, and constantly ask "Where is Game Y?" Every moment I spend on the day-to-day operations of the business damages our future; we're working to identify and correct the problems. The silver lining is that our cash flow report continues to save us from bad decisions, allowing our management team to adjust plans so that we remain liquid and are not forced to resort to bank loans. Munchkin Shakespeare - The single greatest Munchkin success in 2017 had to be the running and completion of the Munchkin Shakespeare project (mostly on schedule!). Conceived a few years ago during a convention (read all about the making of Munchkin Shakespeare here), the title collected many "meh" responses when we discussed it with sales partners. Eventually, after conversations in the office, we decided to take the game to Kickstarter . . . where you showed the world just how much you wanted this game. Thank you, everyone, for making the title such a hit on Kickstarter and, when we sent the game into distribution, increasing its sales at retail. We ended up producing and selling well over twice as many copies of the game as we had originally planned to print. Spell Skool - The success of Grimm Tidings at Walgreens in 2016 led to a second exclusive title for the chain; Munchkin Spell Skool, illustrated by Katie Cook, kept Munchkin sales strong at Walgreens throughout 2017. And with a little planning and secret effort, we even found a way to improve on that success and run a hobby games market experiment with the . . .
Munchkin Gift Pack - As we discussed plans for 2018, one Munchkin title (that we haven't announced; it's a secret) popped up as a possible project for "let's try a new way of announcing games." The usual announcement process leaves our team with three to four months of marketing work before the game even reaches stores. That's a lot of time to build and maintain buzz. What happens if we skip that process and instead announce a few weeks before the game ships to stores? With the Munchkin Gift Pack, we took a chance and bypassed our standard announcement procedure. This was a successful experiment; what we learned in releasing the box of three gift-wrapped games will affect the secret new Munchkin game we're planning to release in 2018. We completed and shipped to the factory our largest project of the year, and the distributor preorder numbers are strong enough to make us proud of the work we've put into making the game the best it can be. The Munchkin Collectible Card Game goes on sale February 21! And best of all, the first expansion is on schedule to hit store shelves in May, and the second and third expansions are shaping up wonderfully. We signed two significant licenses in 2017, expanding Munchkin's reach in stores . . . and on screens! Our partnership with CMoN grants them exclusive rights to create Munchkin boardgames for years to come, giving Munchkin fans a new way to go into the dungeon, bash monsters, and betray friends. For those of you in search of Munchkin action on your computer, the Asmodee Digital team is hard at work on their first Munchkin video game (of hopefully many). We spent a day with the team last fall, and the meeting told us that Asmodee Digital has the right crew on the project. This is gonna be great! The Ogre Video Game, produced with Auroch Digital, launched in October for PC. In November, it was released for Mac. Buy the game on Steam and start playing right now! Bonus: Releasing the video game fulfilled one more stretch goal that we promised during the Ogre Designer's Edition campaign back in 2012. Munchkin Valentines sold out from our primary warehouse almost instantly! This followed Halloween and Christmas packs that were designed around "give these out as gifts," and it's a real treat to see how well these silly, one-off holiday ideas are popular with Munchkin fans. Our forums continue to be a source of valuable information and entertainment. Thank you to Hunter and Andrew for playing an active role in the forum administration, and thank you to all of you who visit the forums daily and chat about our games. GURPS print-on-demand books through Amazon's POD service continued to sell. Slowly, yes, but the print-on-demand option allows us to keep titles in print and available without increasing our inventory costs. We launched several GURPS titles on drivethrurpg.com and continue to add PDFs each week. These were places where we wanted a win and didn't quite get one, or where success and failure were mixed. Ogre Miniatures Set 1 - We were months behind on delivering the box. Fortunately, the end product was as spectacular as we could hope for, and we followed the project with the second set of plastic Ogre minis on Kickstarter. If not for the quality of the finished minis and everything that we learned during the manufacturing process, this would have fallen under the failures category. Ogre Reinforcements - As a companion to the Ogre Sixth Edition game we released in 2016, the Ogre Reinforcements expansion was expected to give Ogre fans fun units and rules as they waited for the release of the plastic miniatures. The expansion turned out awesome, but sales have been extremely slow. Overall, distribution sales of Ogre titles are weak enough that we must crowdfund new Ogre projects, meaning that each release is likely limited to a single printing. Ghosts Love Candy - This fun card game sold strong out of the gate, clearing our primary warehouse quickly. We were planning a reprint, looking to bring the game back into the warehouse for Halloween, and then put a stop to the reprint when sell-through was lower than expected. This is a danger in publishing: Reprint too soon, and you may find yourselves with thousands of games that you didn't actually need. We changed our structure in 2016, hoping to pull distractions from our creative team so that we could accomplish Job One: Make games. The organizational changes did not give our creative team more time to work on games, so we are exploring new ideas. With hard work, our staff will be better directed, focused, and completing tasks on schedule by the end of this year. 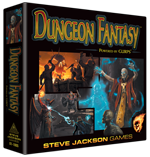 Dungeon Fantasy Roleplaying Game - We have now sold the majority of what we printed. This should instantly slide the game into the "highlights" category . . . and it would be there if not for being so very late, costing more to produce than is healthy, and requiring so much of our upper management team's time and sleep. As it is, the game will likely be sold out at our primary warehouse before the end of the first quarter and will not be reprinted. The current market doesn't leave room for a game like this to succeed, and it's a great thing that we cut our planned print run by 30% or we would be stuck with copies for years to come. 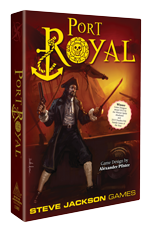 Port Royal - We translated and produced this Pegasus card game for sale in the U.S., only to discover that there was almost no demand since English language copies from Europe are finding their way into the U.S. at a dramatically lower price than our own edition. Port Royal is a great game that we should have left alone. sjgames.com - Our website was one of the earliest game company sites launched back in the nineties, which means that decades of code have accumulated and made maintenance of the site an ongoing nightmare. Without a dedicated CMS running the site, we're often forced to manually update page after page after page . . . and I am personally spending way too much time sending emails to the staff with instructions on "this is out of date" and "you need to correct this." The flood of games continues to overwhelm distributors, retailers, and shelves, leading to an accelerated release schedule for many publishers as games get less time as a "new release" and get dumped online as fast as they leave the "hot and new" category. Christian Petersen and Steve Horvath were interviewed at ICV2 and offered great insight into the cluttered market. You must read the interview -- in two parts -- if you're at all interested in the state of the industry. Asmodee North America, CMoN, and Iello all announced new Minimum Advertised Price policies in an attempt to control their various brands' values. Kickstarter continues to dominate in the board game market, with funding up $36 million in 2017 over 2016.
and the publishers, small and large, who distribute their digital products through Warehouse 23. After a few years of over-extending ourselves, we set only two priorities for 2017. "Complete the commitments we have made through three different Kickstarters. That means wrapping up Dungeon Fantasy (no matter what it takes), finalizing the Ogre Miniatures Set 1 project, and shipping Munchkin Shakespeare to Kickstarter backers on schedule. These projects override everything else." Done, done, and done! The Dungeon Fantasy Roleplaying Game shipped late, yes, but the final package was a successful GURPS introductory boxed set loaded with lots of great gaming potential. Ogre Miniatures Set 1 turned out fantastic (and Set 2 is on track for release in 2018). Munchkin Shakespeare shipped on schedule and was an overwhelming success thanks to the work of our team. "Put the Munchkin Collectible Card Game to bed by sending the core game and first expansion to print before the end of the year. Please note that this is not "place the game in stores" before the end of the year. That would be an unrealistic goal, so we're instead planning for something that we believe we can accomplish." Done on both parts! The Munchkin Collectible Card Game is in stores on February 21, the first expansion is at print and on track for release in May, and we're working away on the second and third expansion sets (both planned for release this year). After successfully completing our two 2017 priorities, it's time to see if we can accomplish a slight bit more in 2018. Support the new Munchkin Collectible Card Game with in-store events and online marketing, and release the core game and three expansion sets before the close of the year. Complete the recent Kickstarter commitments by delivering Ogre Miniatures Set 2, Munchkin Starfinder, Triplanetary, and Conspiracy Theory to supporters before the end of the year (and as close to on-schedule as we can manage). Maintain support of the original Munchkin games with a new tuckbox expansion set and two or three new base games. Launch and bring to a successful close the Kickstarter project for the new edition of Car Wars, with the game set for release to project backers in 2019 or 2020. Everything else is a non-priority, something to do after the priorities are under control. With the Munchkin Collectible Card Game off to a strong start, our 2018 should be better than 2017. Perhaps not in a financial sense -- the market is weird right now, and predicting sales is tougher than ever -- but at least from a completing projects and meeting deadlines standpoint, we expect the year to be better. That, as well as continued work on games like Car Wars and The Fantasy Trip, and supporting Munchkin, should all add up to at least a less stressful year than 2017.